This blog was posted on behalf of Fawn Bergen, Intel’s Global Water Stewardship Manager. She is dedicated to reducing our environmental footprint and manages our water restoration program so we can meet our 2025 goal to restore 100% of our global water use. As we approach World Water Day, it is a perfect time to reflect on the world’s water challenges and Intel’s role in the global water story. Water is a growing concern across the globe, driven by climate change, rising populations, increasing energy demands, and aging infrastructure. According to the United Nations (UN), water use has increased across the world at more than twice the rate of population over the last century, and one third of the world’s largest groundwater systems are in distress today. Based on current climate change scenarios, the UN estimates that by 2030, 24 million to 700 million people will be displaced due to water scarcity. Water is important to Intel – it is necessary for semiconductor manufacturing and it plays a large part in our relationship with local communities. As a company, we’ve been investing in water conservation projects and setting ambitious water conservation goals for close to two decades, saving close to 64 billion gallons of water since we started tracking our progress in 1998. Although we continue to invest millions of dollars each year to conserve water and increase our water use efficiency, our water needs are growing along with company growth and manufacturing complexity. This led us to ask – what else should we be doing? The answer was to look at the bigger picture – beyond our own operations – and examine how Intel impacts the watersheds where we operate. Our onsite water management practices allow us to return approximately 80% of the water we use back to our communities – to be reused or to recharge groundwater supplies. This leaves us with a 20% gap in our water balance – water that is consumed within our operations, primarily through evaporation in our cooling towers or taken up by plants in landscaping. To address this gap, in 2017 we announced a new global commitment to restore 100% of the water we use by 2025. This means that for every gallon of freshwater we use, we will restore a gallon to our watersheds or communities, through existing water management practices and water conservation investments in our operations as well as supporting local water restoration projects. 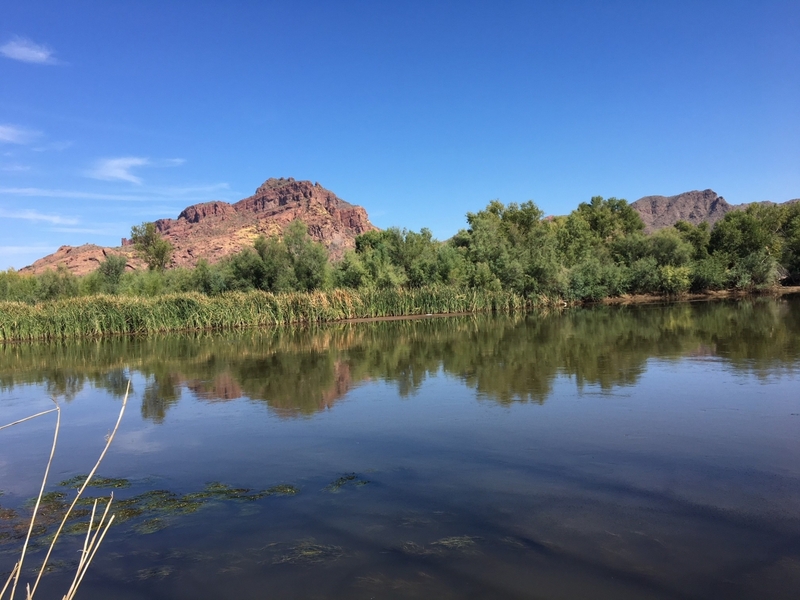 To date, we have funded 14 water restoration projects addressing local water challenges that benefit the watersheds of Arizona, California, New Mexico and Oregon. These efforts in partnership with leading environmental groups are estimated to restore more than 1 billion gallons of water each year, for around 10 years or more, once complete. In addition to these sites in the US, we are now expanding the reach of our commitment to our International locations. On a more personal note, as a native Oregonian raising my children in the Pacific Northwest – an area known for its green landscape, beautiful rivers and lakes, and seemingly constant rainfall (or at least it feels that way in the winter) – I worry about what their future looks like and if we’ve done enough to protect our natural resources. But I also feel hopeful and excited about the future since, in my job at Intel, I see first-hand how companies, governments, and environmental groups are coming together around the world to implement highly impactful solutions to improve the world’s water environment.